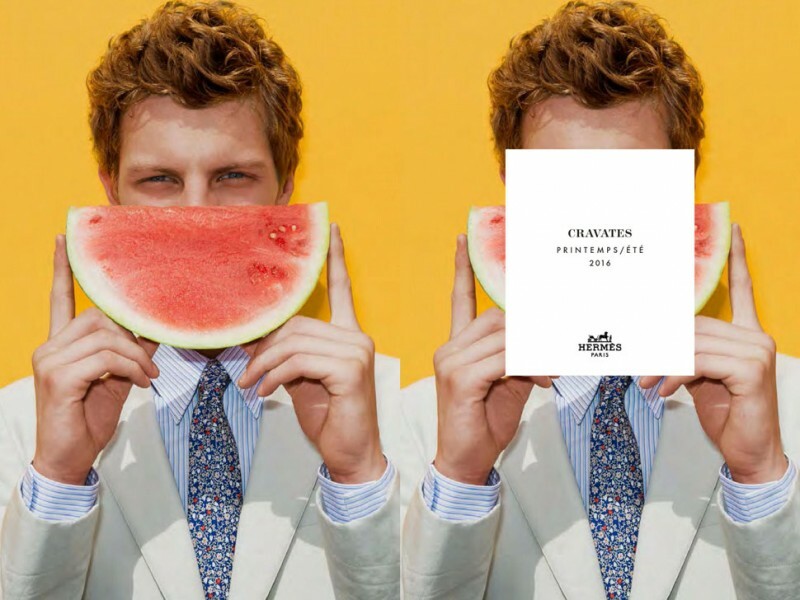 Posing with a watermelon, Tim Schuhmacher connects with Hermès for its most recent menswear outing. 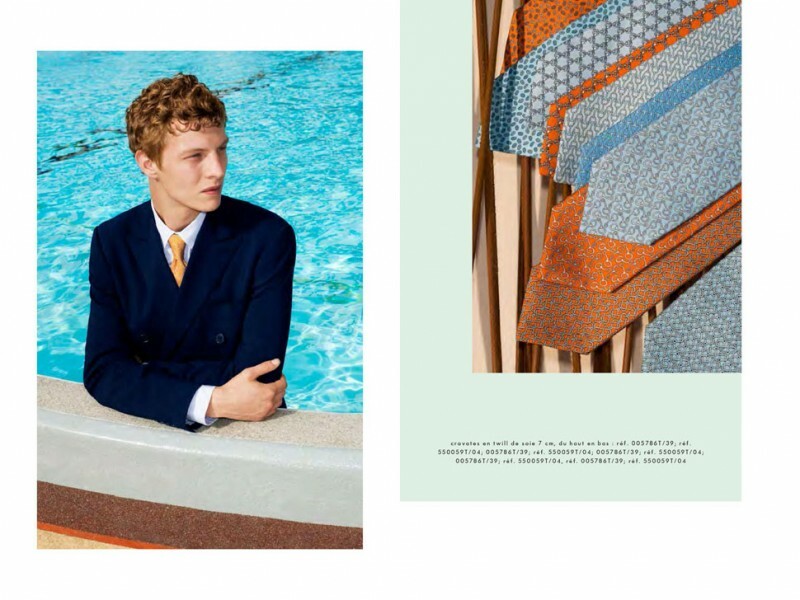 French fashion house Hermès follows tradition and puts the spotlight on its luxurious scarves and ties. 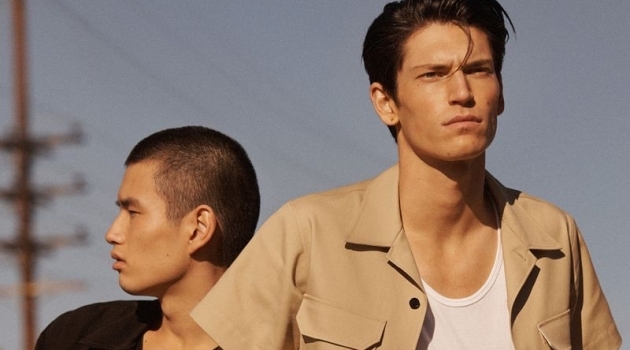 Capturing the brand's spring-summer 2016 range, photographer Walter Pfeiffer connects with models Tim Schuhmacher and Jegor Venned. 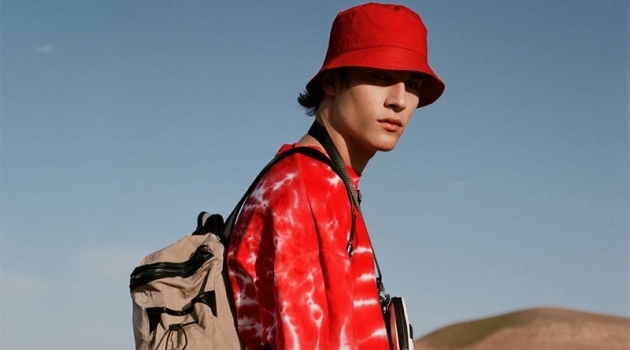 Offering a mix of sartorial tailoring, standout knits, shorts and relaxed t-shirts, stylist Mattias Karlsson perfectly complements Hermès' latest accessories. 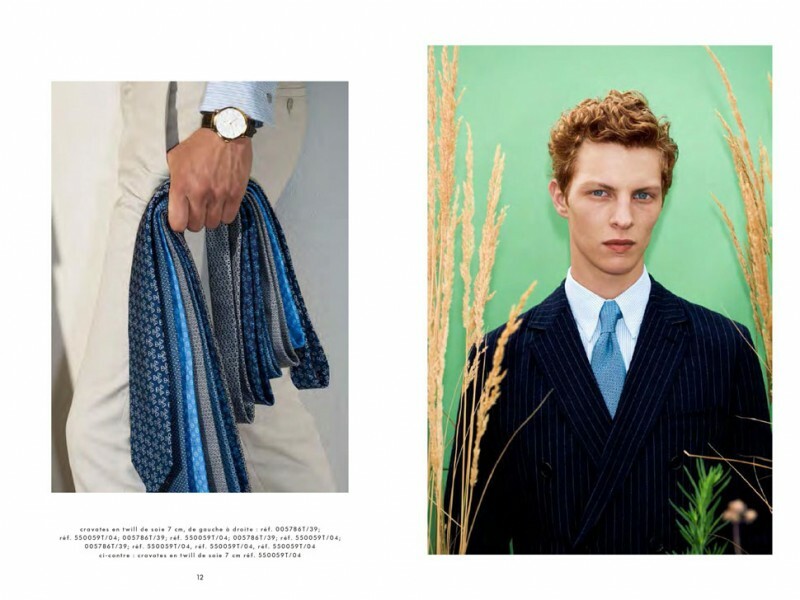 Jegor Venned and Tim Schuhmacher wear scarves, ties and suiting from Hermès. 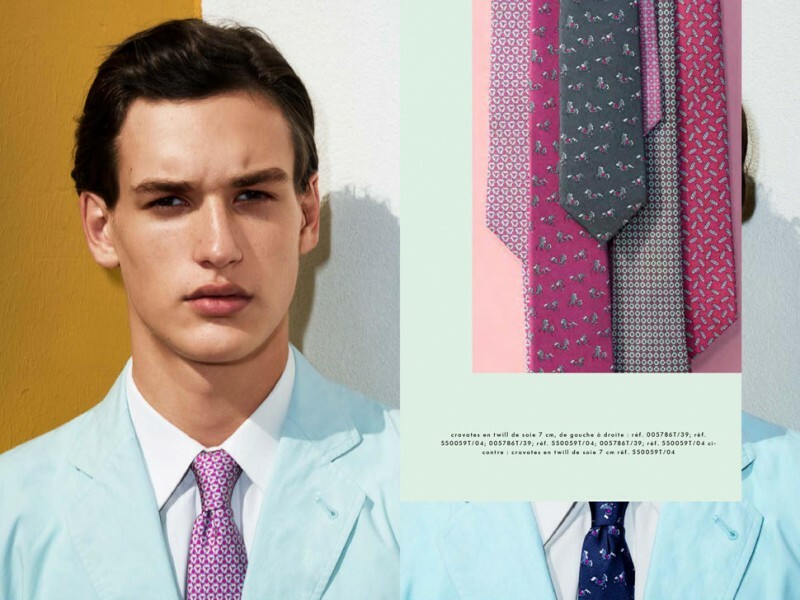 Model Jegor Venned embraces spring hues with Hermès' men's tailoring. Tim Schuhmacher dons a pinstripe suit with an ornate scarf from Hermès' latest collection. 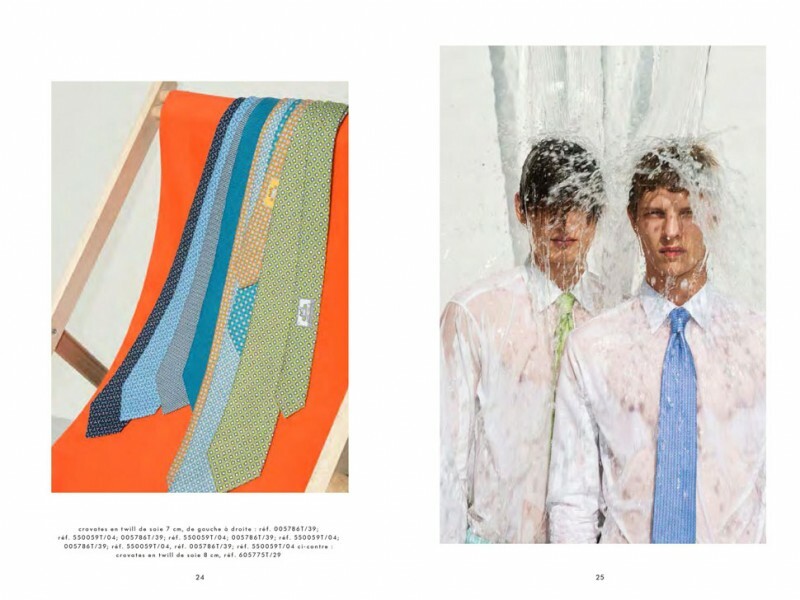 Models Jegor Venned and Tim Schuhmacher stand under a downpour in the name of Hermès' stylish ties. 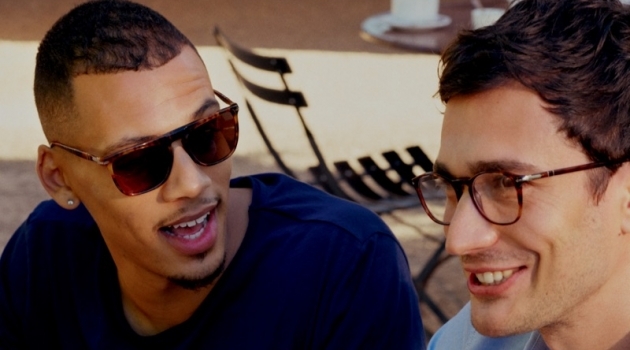 Jegor Venned and Tim Schuhmacher relaxed in light knits and must-have scarves from Hermès. 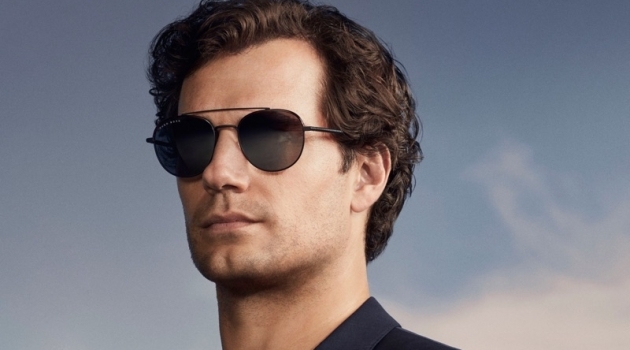 Tim Schuhmacher suits up for a cheeky outing from Hermès.